Vacation Rentals - Napa Native Tours - Wine country tours, excursions, experiences and artisanal products. Vacation homes are the perfect way to ensure a memorable visit to Wine Country. As side from being more affordable for groups larger than 2, they give you the freedom to relax with out the foot traffic of a modern hotel and have views from quite neighborhoods that are close to wineries. Private chefs, intimate yoga sessions, in home massage and spa services are all more accessible in a vacation homes and are considerably more affordable. Napa Native offers exclusive access to these properties and services, with special pricing. Please inquire directly for more information on the vacation homes by filling out the contact form at the bottom of the page. This is a large 4,200 square foot property that was a historic bed and breakfast. It has gone through a full renovation. Located in the heart of Napa Valley just north of Yountville this home is ideally located for your winery and restaurant experiences. The home has 5 bedrooms and 6.5 bathrooms. Please fill out the contact form at the bottom of the page for further details. This two-story farm house is one block from Main Street in downtown St. Helena. 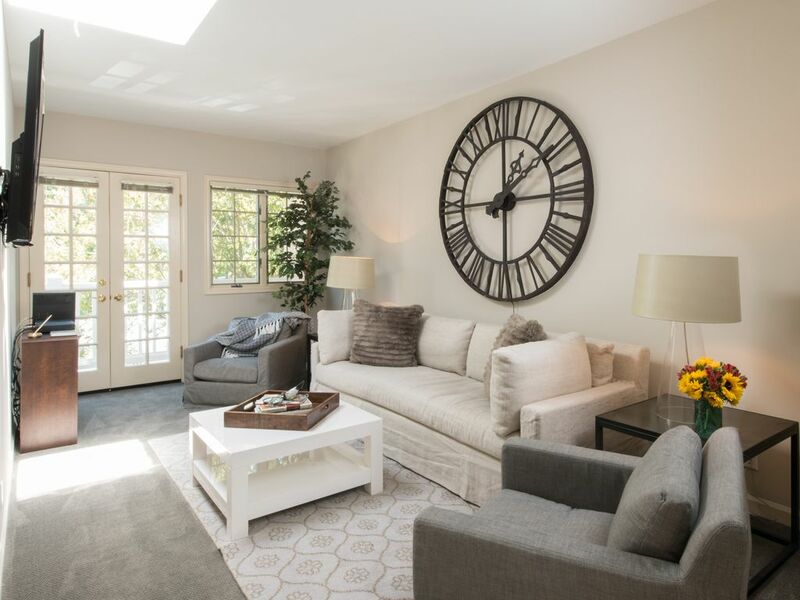 This amazing location offers guests direct access to all the great tastings rooms, restaurants and shopping in downtown St. Helena while having all the luxuries of being in a cozy fully equipped home. The house was originally built in 1881 and recently renovated in 2013. It has all new appliances, bathrooms and a wonderful world class kitchen. We have central heat/air conditioning both upstairs and downstairs. The main house consists of three bedrooms-there are two bedrooms upstairs with queen beds. Please fill out the contact form at the bottom of the page for further details. 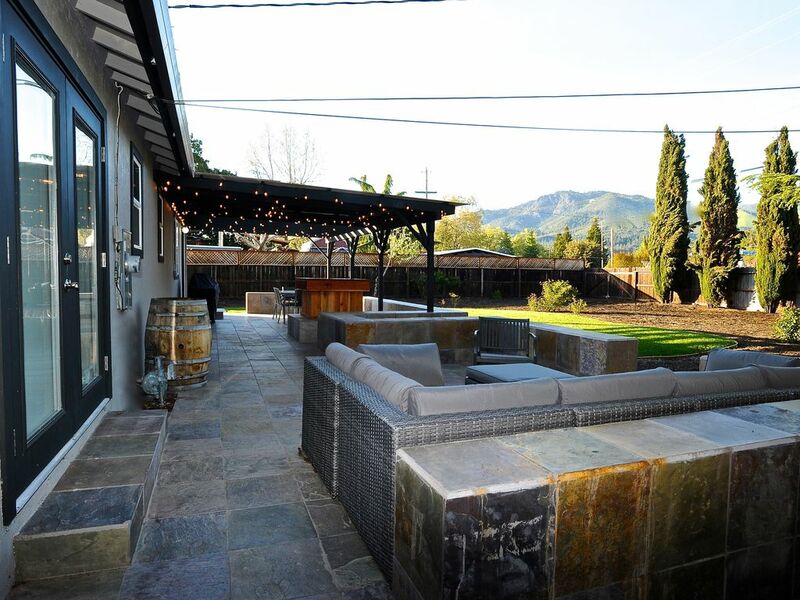 Casa Paraíso is a newly remodeled vacation rental in the heart of the Sonoma Valley wine country. Kenwood’s best tasting rooms are steps from the back door. Over a dozen are a short walk away. Kenwood’s estate vineyards, wineries, and many wedding venues are a 5 to 10 minute drive away. The house has 3 bedrooms with luxury linens and 2 baths perfect for up to 6 guests. The state of the art kitchen has a 6-burner gas stove, double ovens, a stocked pantry with spices, and every kitchen gadget imaginable. Please fill out the contact form at the bottom of the page for further details. Village Glen is the perfect home for a vacation with family or a getaway weekend with friends. It is located in beautiful Glen Ellen, in the middle of the world famous Sonoma Valley wine region. The home is newly remodeled with modern décor, luxury linens, and a fully equipped kitchen with everything you need to express your culinary talents. The property offers centrally located seclusion that sleeps 8 with three bedrooms, two bathrooms and a separate sleeping alcove with a pull out couch. The open floor plan kitchen, living area, and dining room is perfect for the chef to prepare meals with an audience. Please fill out the contact form at the bottom of the page for further details. Olive Glen is a vacation rental in beautiful Glen Ellen, minutes from the world-famous wineries of Sonoma Valley and Napa. This beautiful, private home was recently completed by a premium local builder. 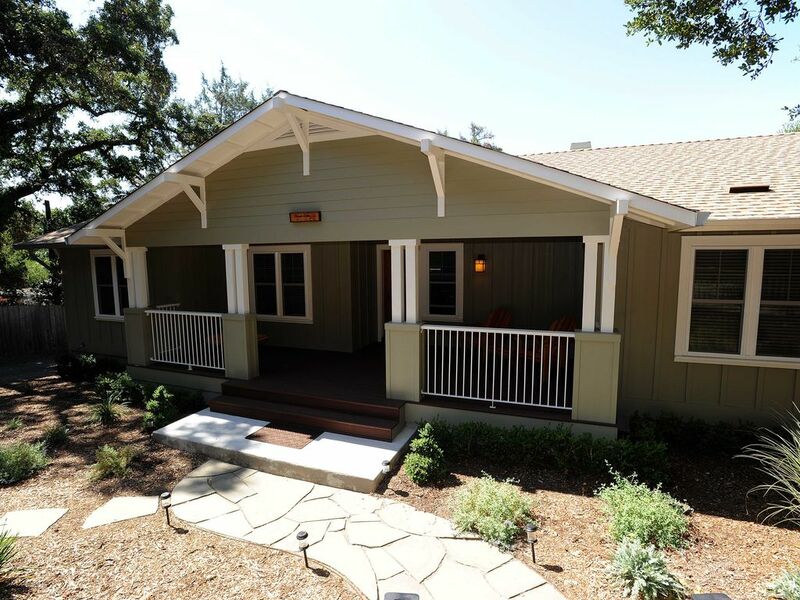 It is sited on nearly an acre of land with views of treetops, Sonoma Mountain, and Sonoma Creek. 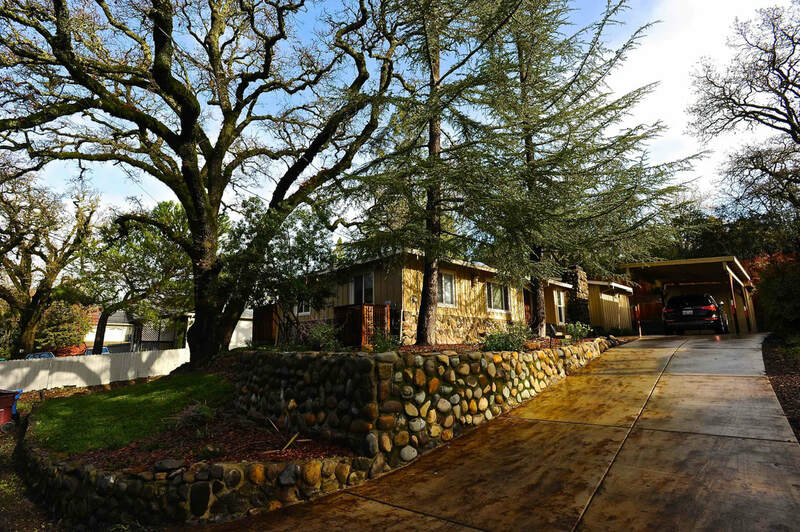 The home is shaded by mature olive and redwood trees. Its features include a fully equipped chef's kitchen, comfortable for multiple cooks, solar power, an electric car charging station, a home entertainment center, an indoor dining area for 6, outdoor dining for 10. There are dozens of vineyards, wineries, and wine-tasting rooms nearby, several within walking distance. The area is also perfect for hiking, biking, photography, and relaxing. With three bedrooms, and 2 baths, this house is perfect for 6 guests. Please fill out the contact form at the bottom of the page for further details. This wine county home in Napa is located in a quiet neighborhood in the NW corner of Napa where the city limits end and vineyards begin. 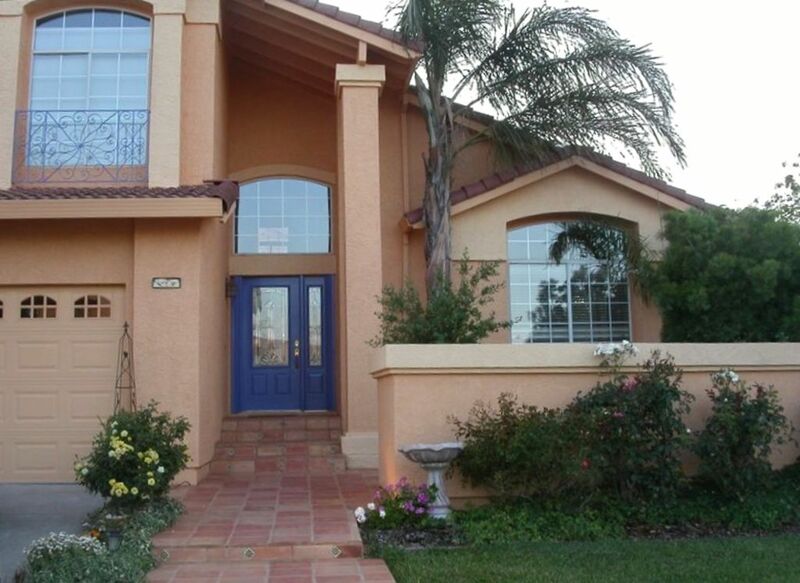 It is tastefully decorated in a comfortable, yet elegant, Tuscan style. The kitchen and both upstairs bathrooms have been updated with granite, tile, and 'old world' cabinets. Outside in the backyard there is a gazebo, fountain, and patio dining table with a BBQ for your relaxation and enjoyment. Just minutes from world class wineries, the location couldn't be better. This 3 bedroom, 2 bath house is perfect for 6 guests. Please fill out the contact form at the bottom of the page for further details. This pristine unit is steps away from the historical Sonoma Plaza and the Sonoma Court Shops where there are a variety of restaurants to choose from. There are many activities and attractions nearby to enjoy. This upscale condo offers a full kitchen with gourmet coffee, all cooking supplies and appliances with a separate dining area that seats four. 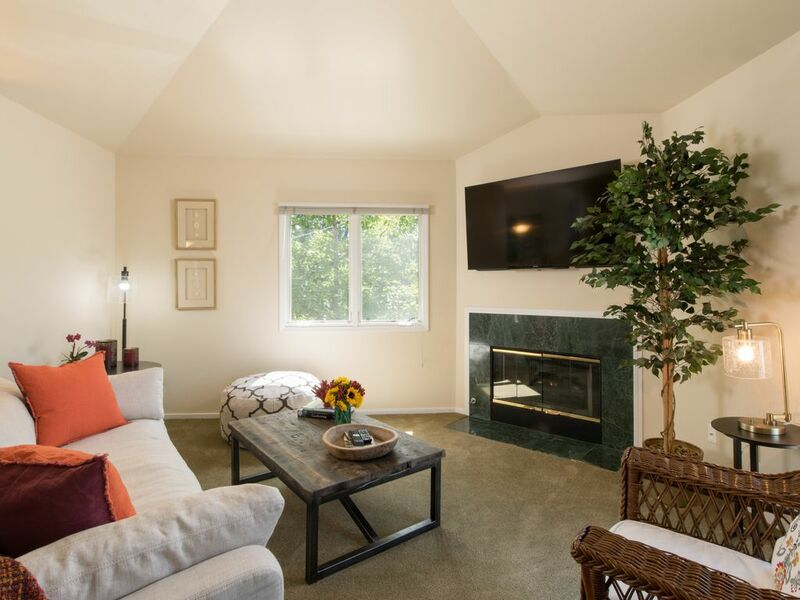 The living room is very spacious and cozy and has a fireplace for those brisk winter evenings. T.V. wifi and cable included. The living room and bedroom have access to a large wrap around deck with sunny south side exposure. The bedroom has a King size bed with designer bedding and the bathroom is equipped with a tub/shower. Please fill out the contact form at the bottom of the page for further details. This condo overlooks the square, fully equipped with a kitchen with gourmet coffee, cooking supplies and several amenities to make your stay a memorable one. Each bedroom and bath has high quality linens, towels, hair dryer and bedding. Bedroom 1 has a king size bed, T.V. and closet space, bedroom 2 has a king size bed, T.V and closet along with laundry facilities for your convenience. Has A/C for the warm summer days. The living room has a TV with cable and wifi provided. No pets or smokers. Relax and sip a glass of wine on the balcony overlooking the Sonoma Plaza. Please fill out the contact form at the bottom of the page for further details. Explore the luxury of our in home services at incredible rates, when you book directly with the service provider. ​Click one the links below for more info. Please fill out the following form for more info on vacation rentals. We need to know if their are minors in the party. i.e. - Honeymoon, Anniversary, Birthday, ect. Let us know any details you have palnned or special requests you might have.